This week I deployed VMware Identity Manager in my lab to do some testing with SQL Always-On and F5. 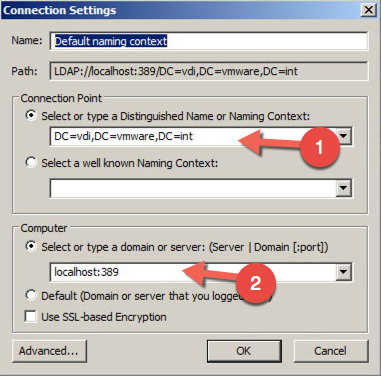 After testing a few things and trying to figure out the issue I found that when changing the FQDN of VMware Identity Manager there is a new step that need to be done. Basically after changing the FQDN go back to the Admin UI. Click Catalog and then settings. After this log out and you should now be able to log back in with a domain account. It gives me great pleasure to announce the first Fling that I have worked on. Over the last couple months Chris Halstead, Stephane Asselin and I have been working on the new App Volumes Backup Fling. This tool will help customers to backup their AppStacks and Writable Volumes VMDK files using their standard backup tools, normally backup tools do not see these files as they are not seen with in the vCenter inventory unless they are connected to a users virtual desktop. Below you will find a number of links where you can find more information about the App Volumes Backup Fling. Please feel free to leave any feedback for Chris, Stephane and I and any features you would like to see added. With the release of VMware Horizon 7 I thought I would try and highlight some of the new features that have now been added with this released. With the update to Blast Extreme, VMware has upgraded the Blast Extreme protocol to the same level as PCoIP and RDP. Now not only will you be able to use the Blast Extreme protocol when connecting via HTML5, but now when you connect to a Virtual desktop or RDSH App using your Horizon client on any device you will be able to connect using the Blast Extreme protocol. Just as with PCoIP and RDP, Horizon Administrators will be able to configure the Blast Extreme protocol as the default protocol for both desktop and application pools. VMware Instant Clones is the long awaited technology that is built on the VMware Fork technology that was previewed at VMworld and VMware has been working on for some time. VMware Instant Clones is helping to create the Just in Time desktop and it allows for a new virtual desktop to be created in seconds and thousands of virtual desktops to be created in a very short time. This is one of the best features of the Horizon 7 release and I believe that Horizon Administrators are going to love creating desktop pools using this new Instant Clone Technology. The two main updates to Cloud Pod Architecture are Scale and Home Site improvements. It should be noted to use Smart Policies you will need Horizon 7 and User Environment Manager 9. You would also need the latest View Agent and Clients installed to take advantage of these new features. The other thing to note is that these policies only work with the PCoIP and BLAST Extreme protocols and not RDP. The Desktop Pool Deletion feature is often a request from customers to make it possible to stop Administrators from deleting a desktop pool that currently has active desktops with in the pool. With Horizon 6.x and earlier it was possible that an administrator could accidentally delete the wrong desktop pool and all the VM’s with in that pool. This feature when enabled would stop that from happening. These are just some of the new features that have been released with Horizon 7. For a full list of the new features check out the release notes here. One of the great new features in VMware Horizon 7 is the ability to stop desktop administrators from accidentally deleting a desktop pool that is currently full of active desktops. Once this feature is enabled the administrator will have to delete all of the desktops before deleting the desktop pool. In this blog I will document how to configure the Desktop Pool Deletion feature. Before you configure this setting you should be aware that this is a global setting and as such once enabled it will be enabled for all desktop and application pools. Start the ADSI Edit utility on the View Connection Server host.